TGIF friends! How's everyone's December going? 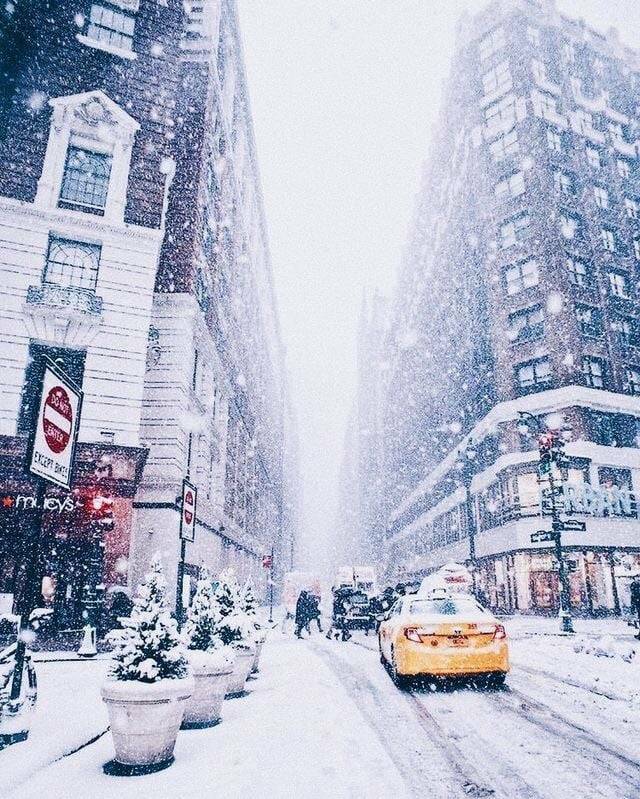 I'm definitely in the holiday spirit and so excited to spend time in the most iconic holiday city in the world, NYC! Ever since the first time I saw the big tree all lit up and sparkling bright at Rockefeller Center I've been in love with the city at Christmas time. 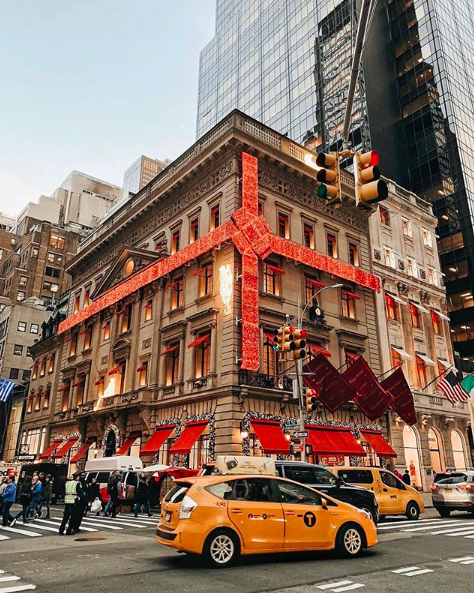 If you've never been, the opportunities to become filled with holiday cheer are endless. And if you have then you absolutely know what I mean when I talk about this magic. 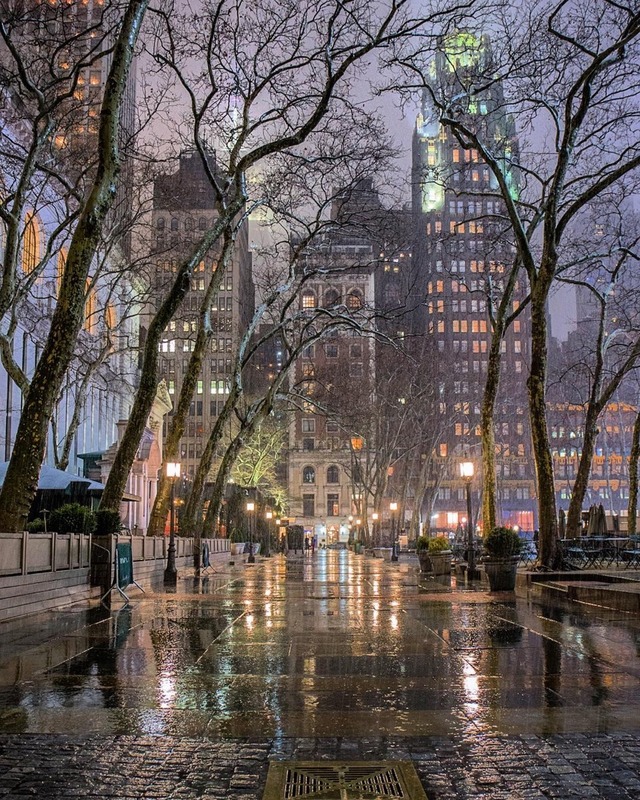 While I could probably write about it's allure all day long, I want to give you the highlights of the must-see places you just can't miss if you're traveling to New York. 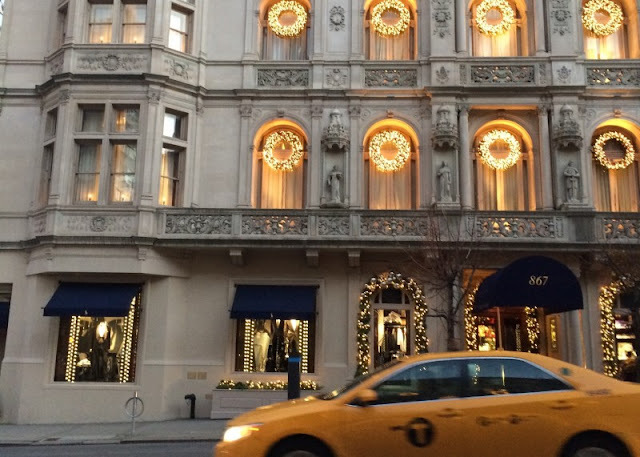 One of the most gorgeously decorated spots is right along Fifth Avenue at Cartier. That big red bow, twinkling lights and all that awaits inside are unmistakable and the things every girl dreams of. Ahhh, just the thought of it makes me so happy. A lesser known spot is hidden away downtown at the financial district. 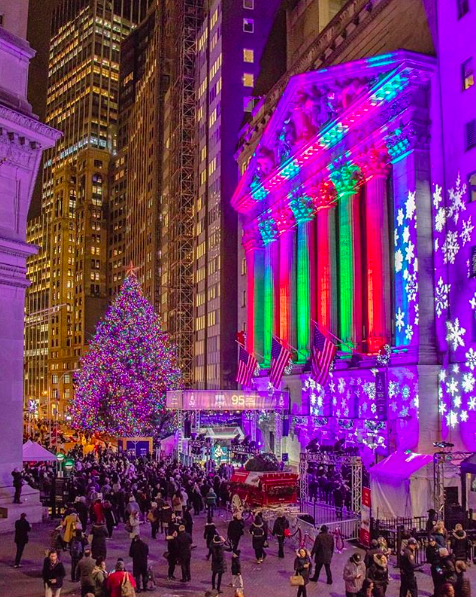 Wall Street has the happiest little tree and the hustle and bustle all around it is filled with holiday spirit. The windows at Saks and services at St. Patrick's are a not to be missed must-do. All this traipsing about town will undoubtedly leave you thirsty for a good cocktail and hungry for something warm and decadent. Don't worry, the city never disappoints. The Polo Bar is probably my favorite for classic Americana fare housed amid Ralph Lauren luxury. Laudree is the stateside version of the Parisian favorite and macarons always make my day! 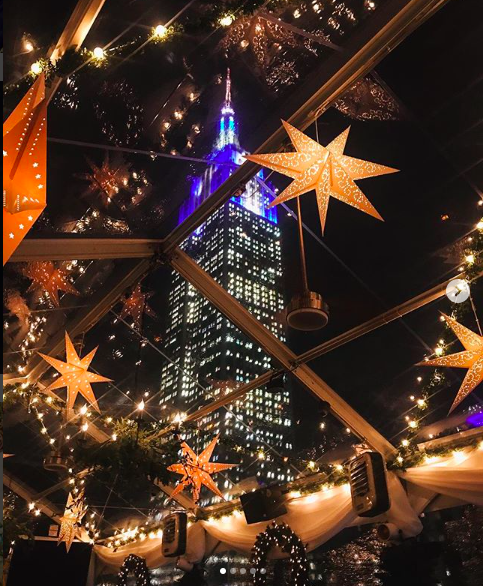 After dark you have to make a stop at 230 Fifth where you'll be amazed by the incredible little heated igloos where you and yours can grab a drink and enjoy a spectacular view of the city. 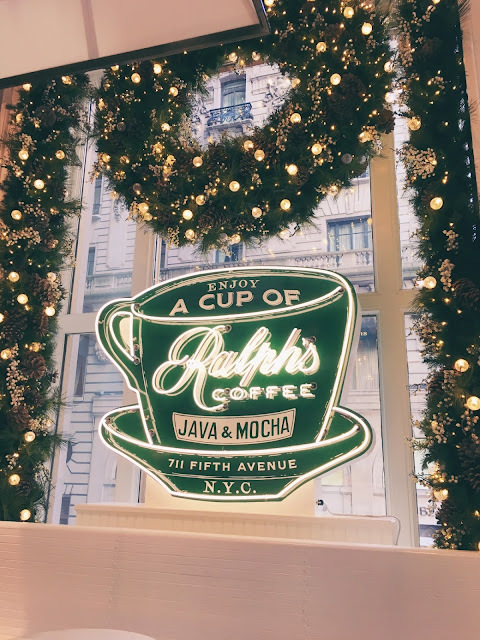 And if the need for coffee ever arises as I'm thinking it might then don't miss Ralph's. Mr. Lauren himself is the founder. Enough said. By no means does that capture all the truly magnificent places the city has to offer this holiday but it's a start for now! I may have to do a second post just to be fair to all the incredible others. Check back for it but until then...Merry New York City Christmas!